History - Concrete ready-mix producer and concrete road construction company, Lorain, Ohio - Terminal Ready-Mix, Inc.
Sam Falbo, Sr. arrived at Ellis Island on December 1, 1922 legally Salvatore Falbo, age 19. 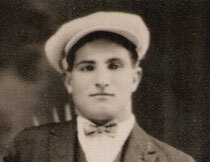 He arrived on the passenger vessel Giuseppe Verdi with $35 headed for Lorain, Ohio. In 1936, Sam secured his vendor's license with the State of Ohio for business as "landscaper/gardener". In the 1930's Sam was securing government contracts for landscaping and roadside improvements. Falbo Construction Company was incorporated in 1948 by Sam Falbo, James Caferro, and Sam Pecora for the purposes of road, sewer and building construction. 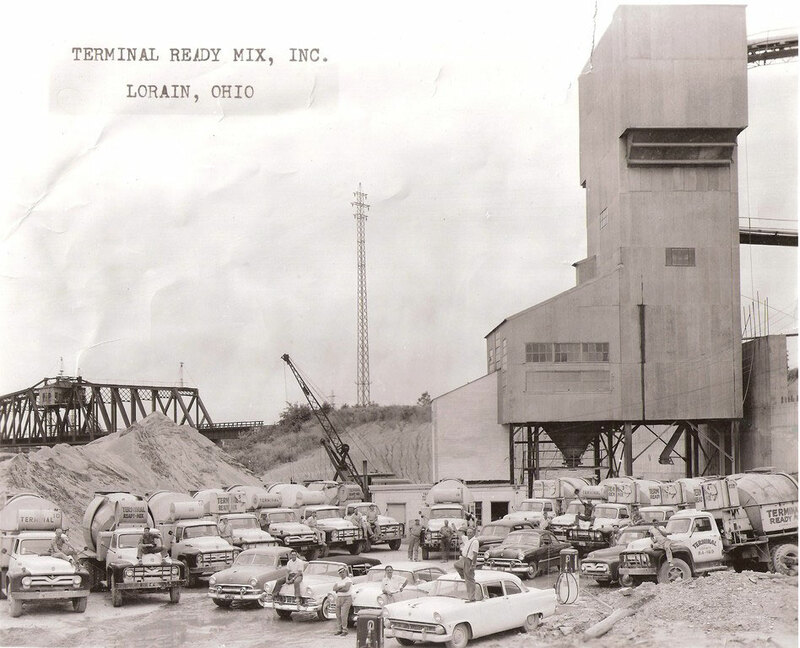 In 1952, the company undertook the most challenging project the City of Lorain has ever attempted - installation of 625 feet of tunnel at a depth of 30 feet below the bottom of the Black River. 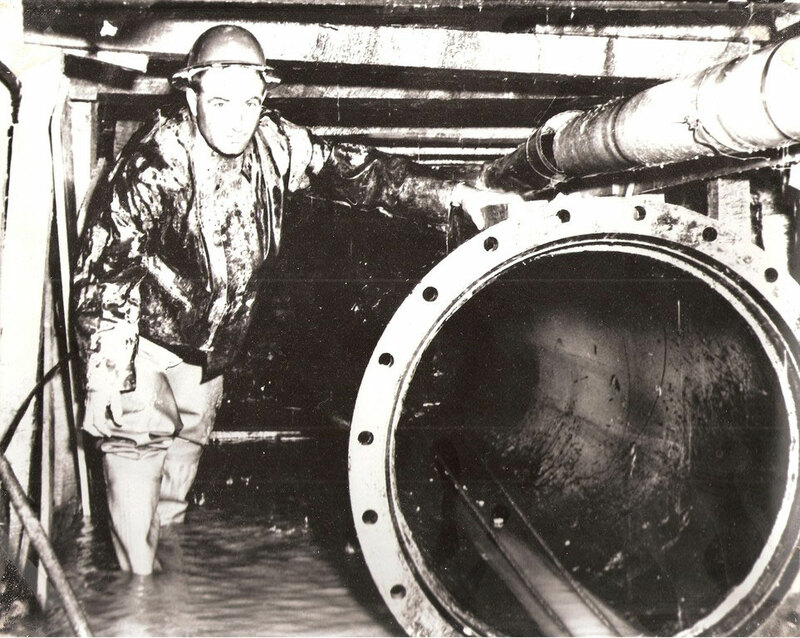 Inside the tunnel, a 30-inch diameter sanitary sewer was installed to carry all of the sewage from the west side of Lorain to the new treatment plant being built on the east side of the river. Crews entered compression chambers before being lowered 60 feet down into the tunnel. Three crews worked around the clock to complete this dangerous project. Sam expanded the business to include land development. He developed many acres in Lorain, Ohio for residential use. He partnered with Murello Builders to create quality affordable housing near churches, schools and parks. He created two major parks in the City of Lorain, Falbo Park and Central Park. Falbo Construction installed the sewers, waterlines and streets. 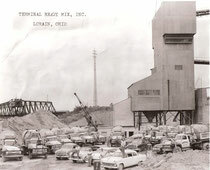 And, of course, the concrete was supplied by Terminal Ready-Mix. Sam and Ethel Falbo had seven children. All were involved in the family business. Sam, Jr., Teresa, Pasquale (Pat), Stanley, Diane, John, and Pete continued the business after their father's passing in 1987. Today, the family continues to provide "Quality and Service" in all of their endeavors.